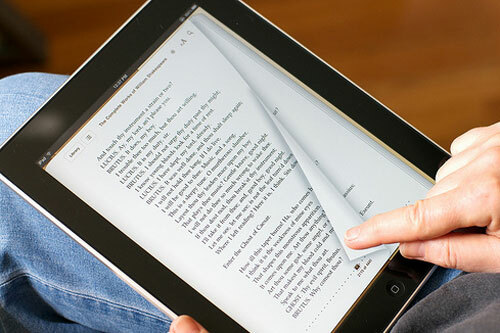 HA NOI (VNS) — Experts gathered yesterday to discuss e-books and the changes it has and will inspire in the reading habits of Vietnamese at a seminar organised at the National Assembly Office of Viet Nam in Ha Noi. The event is one of many ongoing activities commemorating Viet Nam Book Day, April 21, and World Book and Copyright Day, April 23. At the seminar, representatives of the National Assembly library (a co-organiser of the event), publishing companies and several e-book distributing companies discussed the advantages of e-books – their convenience, entertainment value, accessibility and reduction of printing and publishing costs.